A local restaurant is bringing Southern comfort to the Queen City. Read on for all the delicious details. 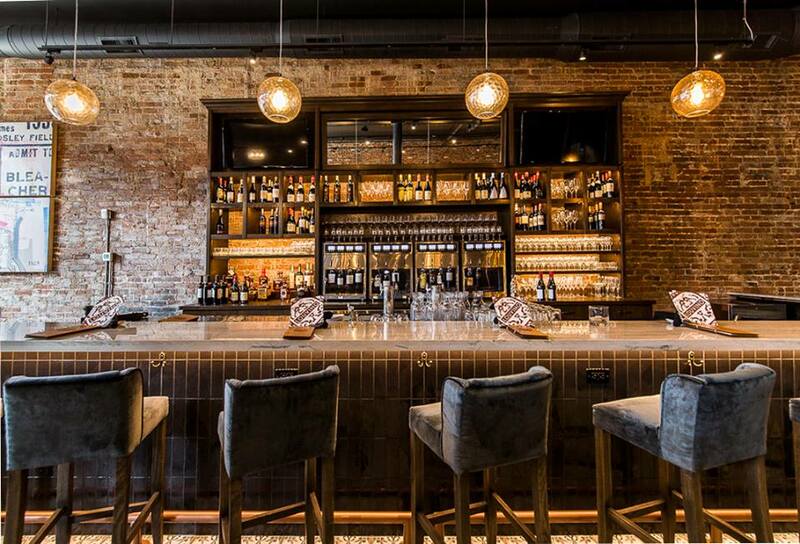 LouVino is a new bar and restaurant serving southern-style dishes and wine. Lauren Coulter and her husband Chad haven’t always been restaurateurs. In a past career life, the two were practicing pharmacists before they decided to think outside the pill box in 2014. It was then that they went for a more entrepreneurial way of living and opened the first LouVino in The Highlands of Louisville on Bardstown Road. Since then, Coulter says the opportunities to expand their business northbound, with new locations in Louisville, the Indianapolis area, and Cincinnati – in Over-the-Rhine to be exact. LouVino is a small plates and wine bar that specializes in Southern-inspired small plates (that are usually rather generous portions, hence southern). But they don’t just serve up Southern food at LouVino, they also offer wine. “We have 60 wines by the glass, we are a wine bar that wants to make learning about and trying wine approachable to anyone who wants to learn,” explains Coulter. LouVino also serves up bourbon, cocktails, and beer to satisfy the palettes of its customers. Coulter says she knows that a Southern-inspired eatery is different than the norm you find in Cincinnati, giving the Queen City a unique new offering. As the year moves forward for LouVino Coulter says that they are hoping to establish a Wine Education and dinner program in OTR this year. “We have a few really cool things coming up include a rose wine class and maybe even a Harry Potter dinner,” she says. To learn more about LouVino, visit https://louvino.com/otr/. You can also follow along on Instagram and Facebook. There’s a new event and venue space coming to town this year! Click to learn more and a peek into the concept. Mojave East is a new event and venue space in Cincinnati. Cincy Chic: Tell us more about Mojave East! Christina Elsass, Owner of Mojave East: Mojave East is a unique new wedding and event venue in the Cincinnati area. 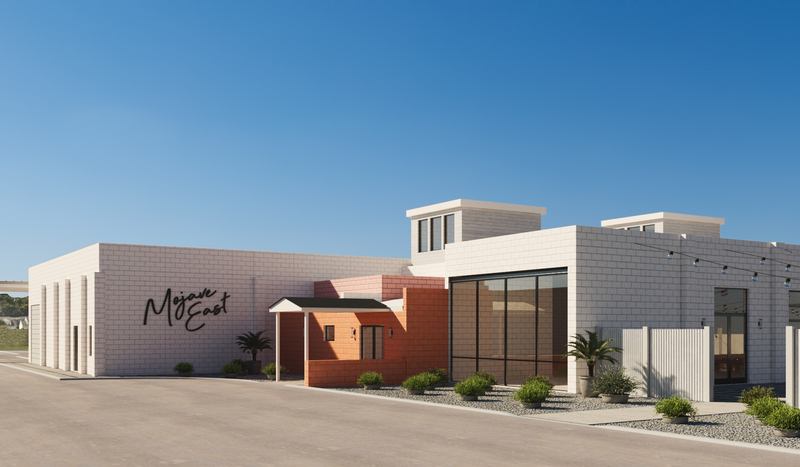 We are transforming an 11,000-square-foot industrial warehouse built in the 1950s, into a stylishly contemporary gathering space. We are located only 10 miles east of downtown Cincinnati on route 32, in charming Newtown Village. Cincy Chic: What’s the inspiration behind Mojave East? Elsass: We met in southern California, and have been inspired by the airy tranquility of the California desert, west coast style and design, and the glam of mid-century Palm Springs. We wanted to create a space that felt like you were being transported to another geography. We’re also blending a lot of urban and natural elements, to provide a harmonious indoor/outdoor experience for guests. Cincy Chic: Who’s behind the venue? Elsass: We are Ben and Christina Elsass, a husband and wife team that had a vision to bring a unique gathering place to life based on our own experiences, and our love of hosting celebrations and memorable events. Ben has been in the wedding industry for over 10 years, and runs two successful businesses – Ben Elsass Photography and Photosphere (a gif photo booth). I (Christina) have 15 years of brand marketing and advertising behind me. We have blended our business and creative minds to develop an experiential space that we hope give you and your guests a wow experience. Cincy Chic: What types of events will you host? Elsass: We plan to host many types of events! The concept was built around hosting weddings, but it’s also a great open space for corporate parties or a variety of social gatherings. We also plan to open it up during the week for things like classes, retreats, and workshops. We designed it so that it would be ready to utilize as is, or it could be transformed and personalized completely. We want it to instigate inspiration for our clients but not deter them from making it their own. Cincy Chic: What makes this event venue unique? Elsass: The inspiration and style of the space is not common in the area and we hope that creates a refreshing excitement! We’ll have both indoor and outdoor spaces available that we can open up for those beautiful weather days. We will also incorporate art and design in various formats for photo (or selfie!) opportunities throughout. Lastly, but certainly not least, we want to provide a personal level of customer service to our clients, so that their event is THE event and we can help bring it to life. Cincy Chic: When will Mojave East officially open? Elsass: We plan to have a soft opening this fall, and open to larger events starting in late 2019 as the holidays roll around. We will soon be offering tours of the site and begin booking! Elsass: The best place to follow our progress would be Instagram where we will be posting daily updates on both the construction build and any fun announcements. We also have a Facebook page that will be updated regularly. Lastly, in the next few weeks, our website will feature 3D renderings, accommodations and services that we will offer, as well as booking and contact information to schedule a tour. This local woman gives a rustic, handmade touch to your big day’s floral arrangements, and also teaches DIY classes. Tasha Anderson has a passion for all things floral, design, and decorating. So she decided to take that passion and turn it into a home-based floral business: Stems by Ratasha. Andersons says she didn’t even know she could put together a floral arrangement, let alone create wedding flowers. From there, she was able to land a job at a florist and learned not just that she loves flowers and everything about them, but she also loved creating arrangements that were able to make people happy and make a space even more beautiful. Following the wedding Anderson gave up flowers for a few months only to realize how much she missed it. She says she had 22 orders for her wreaths in just two weeks. “I couldn’t believe it,” she adds. The holidays came and went and Anderson decided to take another break – this time until February. From there, she says, her requests moved into corsages and boutonnieres for school dances and then more weddings. “Stems by Ratasha had been born,” she says. On the winding journey that got her to where she is today, Anderson says that the passion for her floral business came from her father, who named her, and made her promise that if she ever did anything public in her life she would use her given name. Anderson is a woman who didn’t take the traditional path to Stems by Ratasha. She finds inspiration not only in her daughters, but in herself, for realizing her own passion. “I had just turned 50 years old, you are never too old to learn a new skill and to live our your dream,” she says. Aside from her floral design side of the business, Anderson also offers DIY floral centerpiece classes. “The floral classes are a huge hit,” she says. The classes teach people to create an arrangement that fits the season we’re in. She supplies the materials for students as well as the instruction. Classes from Stems by Ratasha start right around $40 but vary depending on the arrangement size. Anderson says she tries to keep the classes affordable and hopes to soon open a larger area so that she can host even more students and a bigger variety of classes. 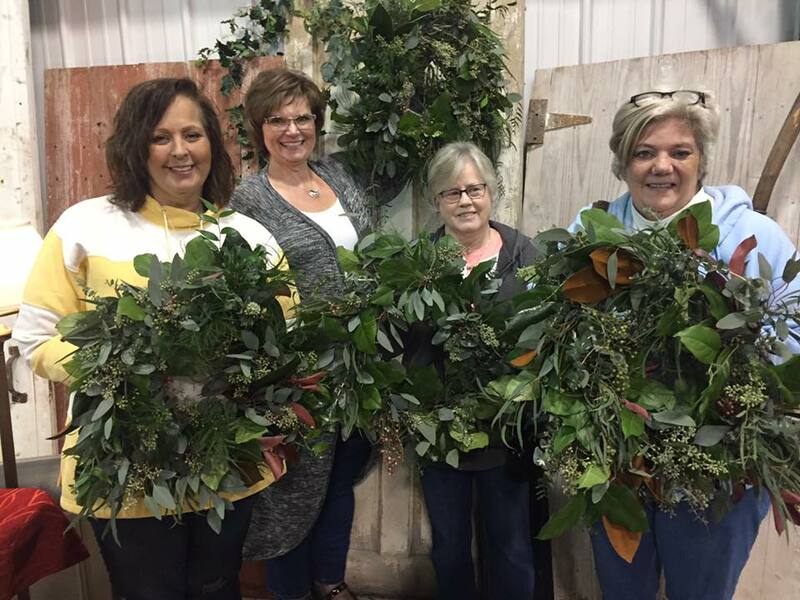 Wreath classes are also available from Stems by Ratasha, which are more labor intensive but still fun, and cost $40 per person. Anderson says she’s currently working on a few new ideas for Stems by Ratasha, including a website and opening up a shop this spring and summer. 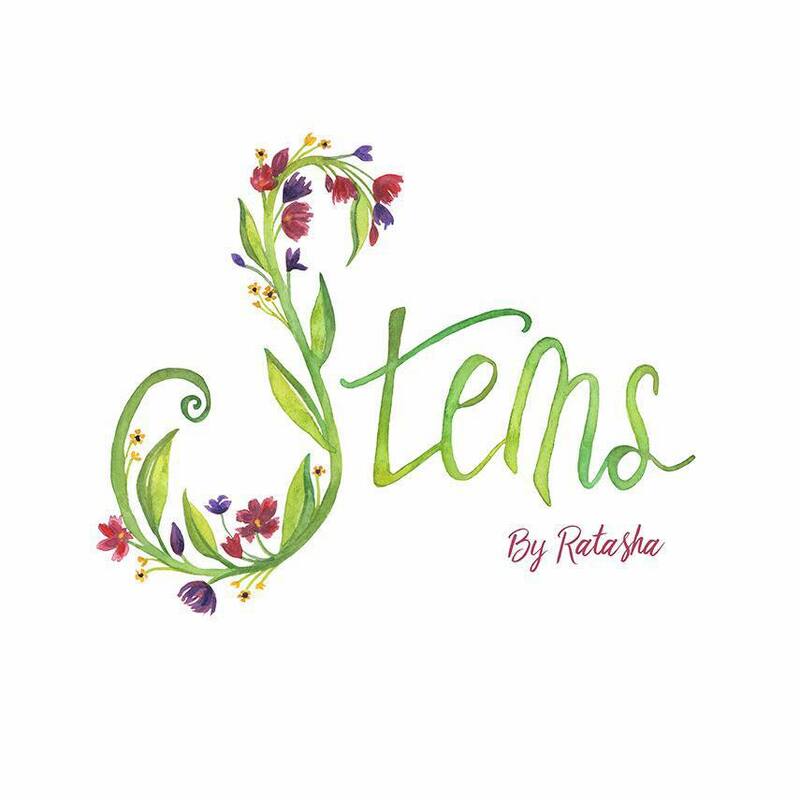 To learn more about Stems by Ratasha, you can contact her directly at 937-621-4569 or by messaging her Facebook page. Stems by Ratasha is also on Instagram. Learn about the sometimes painful journey that led this local couple to each other and inspired them to reach out to those around them. Cincy Chic: What is Brooke and Daron? 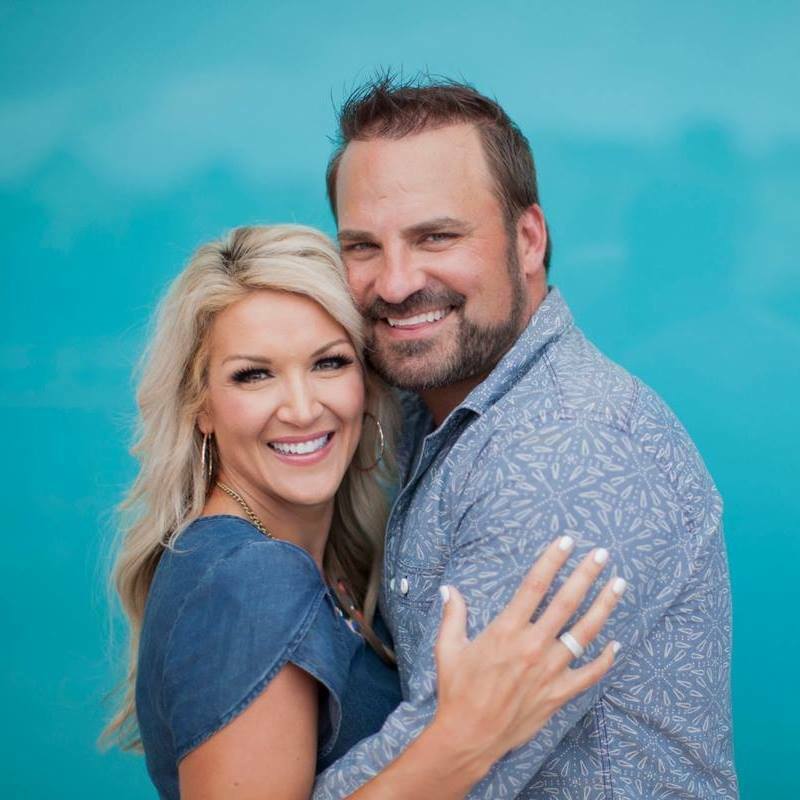 Brooke Farmer, Founder of Brooke and Daron: At Brooke and Daron, we’re all about Move, Pray, Love, on a digital platform. Whether you’re looking for guidance, fitness tips, healthy recipes, prayer requests, and more, you’ve come to the right place. We want you to grab a cup of coffee and stay a while. Cincy Chic: What’s the inspiration behind it? Farmer: When I sold my small media company in 2016 and the door was closed for me to continue with work as I knew it, in the quiet moments that followed this business decision the Lord began to use me to help other women start their small businesses, ministries, and write their books. Now, I must be honest and tell y’all that I wasn’t jumping at the opportunity to help. Not that I didn’t wish to assist, but simply because I didn’t feel that I had anything to offer. However, when the Lord desires to do something He can become quite persistent. Soon after I began to help this individual, other women started to reach out to me for assistance and I found myself cheering once again. But this time, I was in their corner, cheering them on to start their own businesses, birth a ministry, and write their books. Feeling the joy produced when women realize who they are called to be, and then assisting them to do those things they have always dreamed of doing reignited my dreams and passions within myself, and proved to be a launching pad that encouraged me to finally follow the dreams that God has given to me. To launch a brand and form a community of women who are excited about living life to the fullest while maintaining a healthy balance between food, faith and fitness. Cincy Chic: Who’s behind it? Farmer: We are Brooke and Daron Farmer. We are a Jesus lovin’ family who enjoys sharing our journey with friends and family. We can’t wait to Move Love Pray with you. Whether you are looking to live your best spiritual life, needing healthy recipes that will feed your family in under 30 minutes, seek out workouts for women that you can do from the comfort of your home and so much more! Cincy Chic: How do you incorporate health and fitness into your new venture? Farmer: Fitness has always been my niche. In fact, you may recognize me from my Fitness company that I started about 6 years back (Skinny Mom). The successful sale of that business has been my launching pad, enabling me to show you each ingredient that makes up the recipe of my life. My love for fitness started at a young age and carried me through college on a scholarship to the University of Kentucky. There I was able to cheer on the boys in blue, and fell in love with motivating others. I helped pay my way through college by working as a certified personal trainer and continued training part-time in the years that followed. A couple years later I found myself on the national level cheering for the Cincinnati Bengals (Who-Dey!) and acting as one of the the Captains and helping as a Fitness Coach. In 2009 I was honored to carry the title of Ms.Fitness Universe. Then, in 2011, I found myself on the verge of divorce with a newborn. I clung to what I knew best and cried out to God for direction. I desired to be the best mother possible to my handsome son Easton, I knew healthy living would become a lifestyle in both the spiritual and physical senses. My love of good food and drive to lose the baby weight (am I right y’all?) produced multiple healthy recipes and fitness programs that I have been able to pass along women on their healthy living journeys. I love teaching workout classes and I currently teach a free workout class on Monday nights in Cincinnati, OH. I am excited to continue sharing tips and motivations from one woman to another. Cincy Chic: What inspired you to incorporate faith in your website? Farmer: The anchor in my life is The Lord. It is this relationship and walk with Our Savior that daily motivates me to be everything that he has created for me to be, nothing more and nothing less. The Lord is my best friend, my provision, my way-maker and ultimately my “Father”. The whispers in the stillness of night and the still small voice amongst life’s most stressful seasons have beaconed me to “Dream Big, But Believe Bigger.” It is my hope that as you navigate this site and peek into my life from the angles of Business, Entrepreneurship, Faith, Fitness, Fashion & Skinny Cooking that you are inspired to live your life to its fullest. While confidently knowing that until you discover (and walk out) who God created you to be, you will never be satisfied. Cincy Chic: Can you tell us more about your online store? Farmer: You can shop our online store to purchase apparel, books, CDs, vitamins, and so much more! Farmer: Join us at brookeanddaron.com and join us on our social media channels including Instagram, Pinterest, Facebook, and YouTube. You can also shop our store 24/7 by clicking here. From a dependable last minute sitter and summer camp pick up or study help and an extra hand around the house, learn about a local service that's a life-saver for moms. Thanks to Sitting Made Simple, you can easily connect with local babysitters. 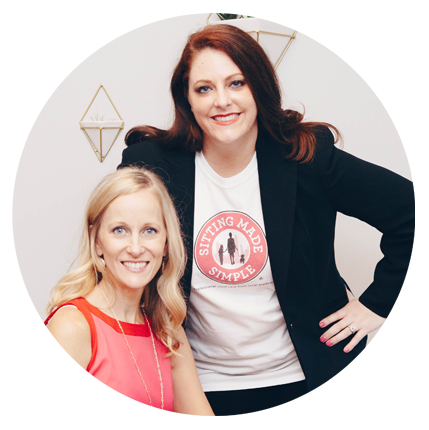 Sitting Made Simple was originally launched in Columbus a little over 10 years ago by Amanda Knapp. She then decided to franchise the brand about four years ago and Sitting Made Simple is now offered in nine major U.S. cities with goals to open more later this year. The inspiration behind Sitting Made Simple in Cincinnati comes from Hardy’s own desire to provide other families in the city and community with a needed childcare option. Sitting Made Simple offers everything from last-minute sitters to sick kids, holiday sitters, summer sitters, before and after school drop-offs and pickups, family sharing options, and church or event sitting. Existing members who refer new families can get free scheduling fees and earn credits toward nights out. Currently, Sitting Made Simple is preparing for the summer program, which begins sign ups on March 4. And because Sitting Made Simple is in nine different cities, members of Sitting Made Simple can sign up for care in any of those cities to help make travel easier. While the services available are convenient for busy families, Sitting Made Simple is unique in that it does all the hardwork for you. Additionally, all of the sitters from Sitting Made Simple are held to a higher standard and are held accountable for their appointments. Hardy says Sitting Made Simple is always on the lookout for new businesses to partner with as they offer corporate memberships with employee discounts and free scheduling credits. To learn more about Sitting Made Simple, click here< www.sittingmadesimple.com/cincinnati >, follow along on Instagram<@sms_cincinnati>, or “like” them on Facebook<@SMS Cincinnati >. Learn about a local gift wrapping service that not only takes that to-do off your list, but offers custom wrapping that’ll add a huge wow factor! Cincy Chic: What is The Wraperie? Hilary Halverstadt, Owner of The Wraperie:The Wraperie is a custom gift wrapping service located in Park Hills, Kentucky. We serve the greater Cincinnati area with our custom gift wrapping for all occasions. Cincy Chic: What’s the inspiration behind your business? Halverstadt: It was my vision to have my own gift wrapping business one day to help save time for customers and to not just wrap but design “looks” for wrapping, similar to my fashion background. Our custom wrapping looks are unique, ever-changing, and customized to create joy! Gifts are something personal and the wrapping should mirror that. Halverstadt: I’m Hilary and the CEO of The Wraperie. I have a Fashion Merchandising degree from Kent State University (near Cleveland) and have worked previously in the retail business. I noticed with many larger department stores and even boutiques, the gift wrapping department was extinct. Customers especially during the yearly demanding holiday season were asking about gift wrapping. All the store could offer was maybe a box or bag with a small amount of ribbon or two pieces of tissue paper. This was concerning to me because running out and buying materials to gift wrap is not what buyers want to do after hours of shopping! It’s very time consuming. Cincy Chic: What types of wrapping services do you offer? Halverstadt: We offer custom gift wrapping for every occasion at our office: 1522 Dixie Highway, Suite#145 in Park Hills, Kentucky. We do offer our services by appointment. We also do pop-up events, window displays using our gift designs, along with gift wrapping for corporate events including wrapping on-site (in someone’s home) within the greater Cincinnati area. Cincy Chic: What makes The Wraperie unique? Halverstadt: The Wraperie is unique and a one-of-a-kind service in the greater Cincinnati area. 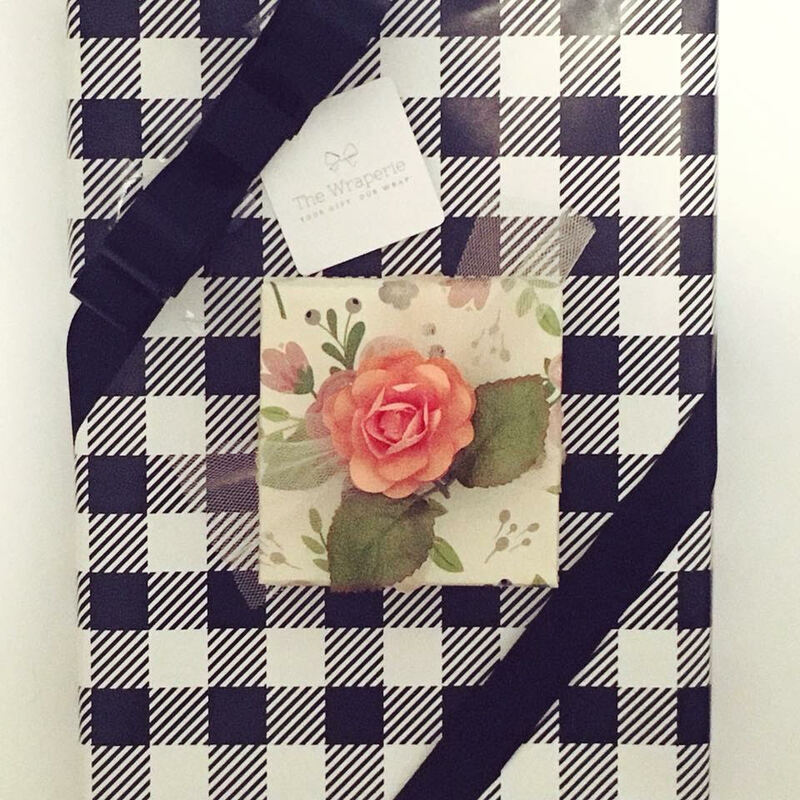 The concept of custom gift wrapping has been well-received and has helped our customers save time. I haven’t heard of any other custom gift wrapping service to match the customers’ needs in the Tri-State. Cincy Chic: Is there anything new on the horizon for your business? Halverstadt: The Wraperie initially focused on the holiday season, which is the busiest time of the year, along with many pop-up events. We are a year-round business and plan to extend our market with other special occasions as well, such as the bridal season, graduations, Mother’s Day, Father’s Day, and birthdays. Halverstadt: Your readers can “like” our Facebook page, follow us on Instagram, or send us an email. Findlay Market is offering a new way to dine and aims to make it a truly social experience. Keep reading for the tasty details. Social O.T.R. is a communal dining space in Findlay Market. Findlay Market’s non-profit restaurant Social O.T.R. recently opened its doors to the public on February 7. 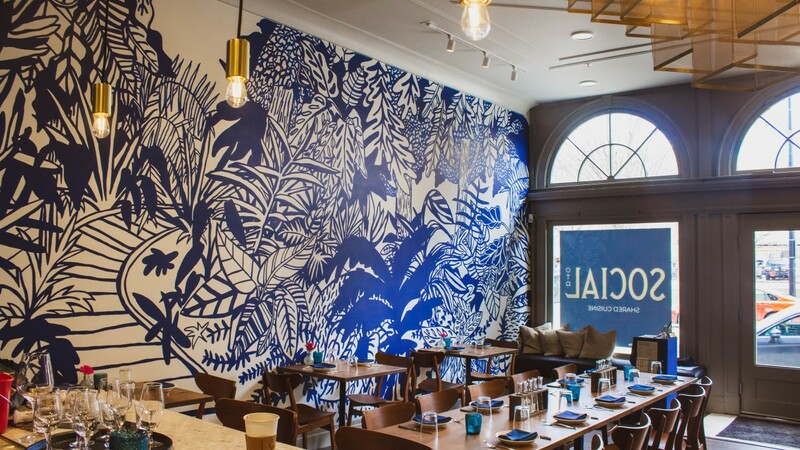 Operated by The Corporation for findlay Market, in partnership with CityLink Center, offers guests a one-of-a-kind communal dining experience with a socially-minded mission. According to Findlay Market’s Director of Communications Kelly Lanser, Social O.T.R. is more than just a restaurant. “The back of house is fully staffed by students in CityLink Center’s Findlay Culinary Training Program, which is a skills-based program meant to develop the next generation of culinary talent for Cincinnati’s food service industry,” says Lanser. The students who participate in the CityLink program spend four weeks there learning life skills, such as financial education, healthy communication, and conflict resolution as well as culinary skills, which takes place in the Culinary Lab and is taught by Director of Culinary Education, Chef Lindsey Cook. Social O.T.R. features a main dining room with two large communal tables, as well as other small tables that are made by the Cincinnati Wood Collaborative. There’s also a full bar at the front of the restaurant. “An exposed brick hallway leads guests past the kitchen, with large windows looking in, to the back lounge area, called The Alley at Social, with another communal table and a bar,” says Lanser. The menu at Social O.T.R. is designed to be shared, and consists of all small plates inspired by local ingredients. “Guests are encouraged to try a little bit of everything and enjoy a social dining experience,” she adds. Social O.T.R. is open Tuesday through Sunday at 4 pm, with dinner service beginning at 5 pm. The Alley at Social is open until 12 am. Social O.T.R. is located at 1819 Elm Street, across from Findlay Market. To learn more, visit socialotr.com. There’s a tasty new treat in town. Click to indulge in details about this Liberty Center pastry shop full of chic sweets! 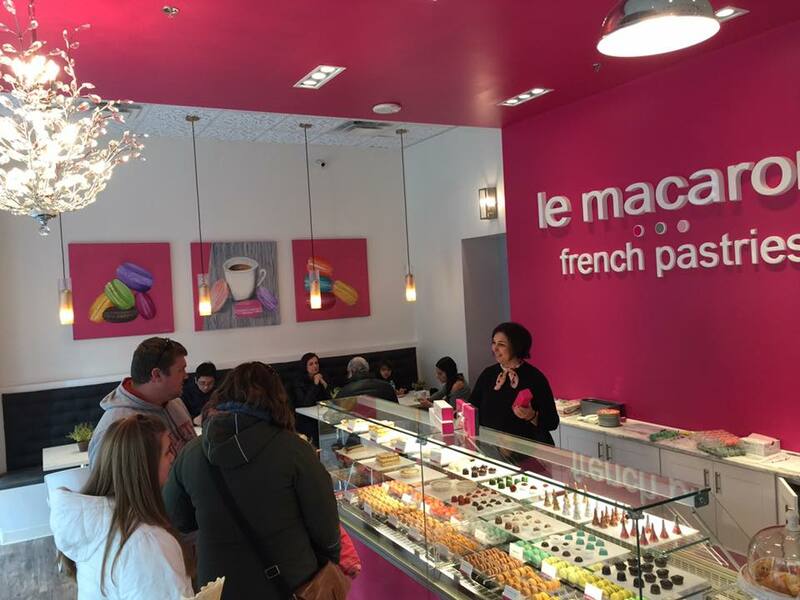 Cincy Chic: What is Le Macaron Liberty Center? Marina Amaral, Owner of Le Macaron Liberty Center: It is a French Pastries shop where you can find the very unique flavors made by a French chef. You can feel the best flavors in town. Amaral: A mom and daughter opened the first store in Sarasota, Fl and 10 years ago they launched the franchise.. With more than 50 stores in Florida, California and others. The Liberty Center location is the first in Ohio. 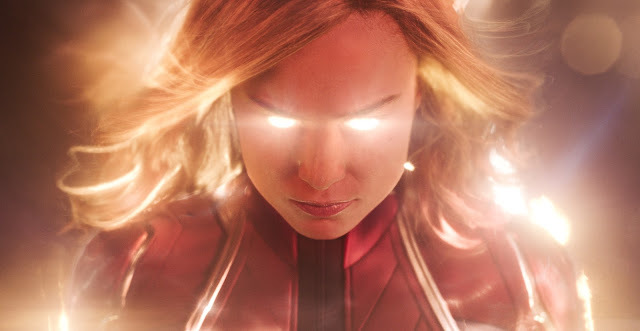 Amaral: I am! Since I moved to this area I always wanted to have a different kind of place to eat – a pastry or gelato spot like they have in my home country of Brazil. Cincy Chic: Where is Le Macaron Liberty Center located? Amaral: We’re at 7529 Bales Street in Liberty Township. Cincy Chic: What items can readers find in-store? Amaral: We have macarons, eclairs, tarts, croissants, French gelato, coffee, tea, and other beverages. Cincy Chic: what makes Le Macaron Liberty Center unique? Amaral: The tastes and the quality of each ingredient – we have vanilla from Madagascar, chocolates from Belgium, and pistachios from Italy to name a few. Cincy Chic: Is there anything new on the horizon? Amaral: My first idea is bringing the cafe idea of not being in a rush and offering good music and good food. The future is on my mind – but for now it’s a secret! Amaral: We’re on Facebook, Instagram, and have a website.